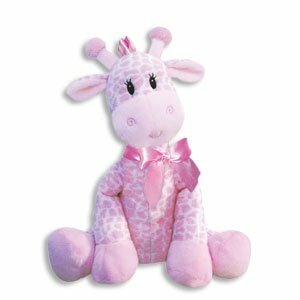 This adorable Giraffe Rattle is pink and white in color and is 9 inches tall. It is able to sit unaided so it can easily be stored on a shelf or bureau. If you have any questions about this product by First and Main, contact us by completing and submitting the form below. If you are looking for a specif part number, please include it with your message.